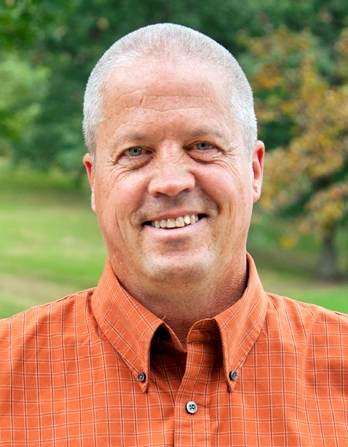 John Petersen is an Advanced Product Development Specialist in 3M’s Construction and Home Improvement Markets Division. Petersen develops abrasives and spends much of his time in the field with painting professionals, where he finds pain points his team of engineers and developers can eventually remedy. Here’s a common question he hears about abrasives. Q: I need an abrasive that doesn’t clog too quickly. What do I look for? A: Anti-clogging technology applies to both hand-sanding and power-sanding abrasives, so it really depends on what’s being sanded. If it’s bare wood, there usually isn’t much of a problem with clogging at all. This surface is dry by nature so you don’t have to worry about clogging. Just make sure the surface is truly clean and dust-free before applying the coating. On the other hand, when you’re trying to remove paint, varnish or polyurethane from wood, metal or another type of surface, those coatings can become gummy and have a tendency to clog up the sandpaper. This is the true pain point you’re asking about. It really doesn’t matter what type of paint (latex or oil-based) you are removing. All will gum up at some point during the sanding process. Polyurethanes and varnishes are mostly solvent-borne, so they have a tendency to gum up more. Most of the premium abrasive products have what’s called ‘anti-clogging,’ ‘clog resistant’ or ‘anti-loading’ properties, which you’ll see indicated on the packaging. These descriptions all mean one thing: the abrasive is coated with either calcium stearate or zinc stearate, both of which have a soap-like effect to lubricate as you sand, which helps prevent clogging. 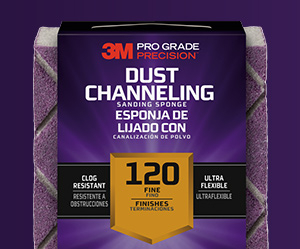 Look for abrasives with the anti-clogging or anti-loading messaging on them. Also, if you like sanding sponges, look for those with grooves in their face to channel the residue and prevent loading. However, there are other factors to keep in mind when you’re removing a coating from a surface with the help of a clog-resistant abrasive. It’s important to sand along the grain of wood to avoid damaging the surface; and always work from a coarse grit of about 60 to a fine one, around 220, skipping no more than one grit level, until you have your desired finish. Typically, the clogging issues occur with the coarse abrasives because those are the ones needed to remove the majority of a coating. I recommend moving from a 60 grit to a 150; then when the paint is fully stripped, move to a 220 ultrafine for final prep before either repainting or staining. The finer-grade papers will be gentler on the surface and you should be at a stage where clogging should be less of an issue by the time you use them. However, if you are taking paint off steel or metal, you may want to start with a slightly finer grade than 60, perhaps an 80, to avoid scratching. If you do experience clogging, most often it’s something we call ‘point loading,’ where small spots of a coating get lodged inside the abrasive, though these particles won’t cover the entire sheet. Some pros will dispose of an abrasive because they think these clogged areas can’t be remedied but, most of the time, you can slap the sheet on the edge of a table to loosen the clogged particles. Or sometimes, if the abrasive’s backing has a little flex to it, the clogging material may pop off relatively easily when you bend the backing. With an older sponge, you can often shake the clogging material out of it; some abrasives can even be rinsed for reuse. By the very nature of this work, clogging is inevitable. But with the right abrasive and good technique, you can minimize loading, use less abrasives, and complete a great prep job.